Processing of Havan(ritual) during Navratris. Path of Maa Durga Stotra and Kavach Path. Inclusion of Kumari Puja, Suvasini Puja. Guaranteed Accuracy in Conduction of Puja that showers blessing of Ma Chandi in the most befitting manner. Transparent conduction of Puja, either in Online or Offline mode, which ensures your satisfaction. Inclusion of Pundits and Purohits who are well aware of Puja Yagya’s Chandi Paatham Puja, as they are Gurukul trained Purohits, and that’s why they are fully adept in accurate arrangement, execution and completion of Chandi Paatham Durga Devi Puja. 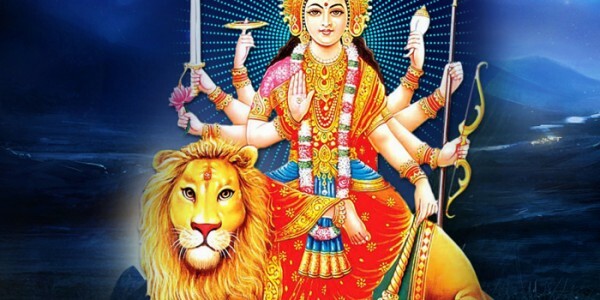 We are most accommodating, authentic and beneficial Hindu Puja service provider in United States of America and we include experience of so many years. Our reliable Vedic legacy makes us most reputed Puja Service in USA.